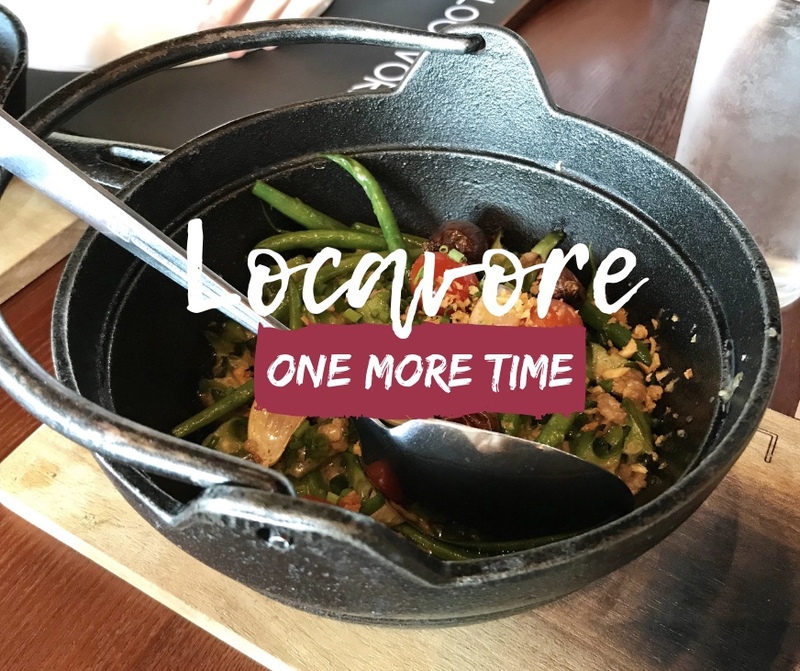 I was able to try Locavore back in June this year, and that experience didn't go as expected. Nevertheless, I vowed to return to give the most loved Filipino restaurant in the Metro a chance to redemption. We were throwing our intern a little thank you lunch as she finished her required hours of working with us. We were having difficulties choosing a restaurant, so we asked her what her favorite cuisine was. The answer - Filipino. So, we thought about bringing her to Locavore, which recently opened at S Maison. We ordered 5 dishes for the 5 of us. It seemed like a lot, but we were able to finish them all. 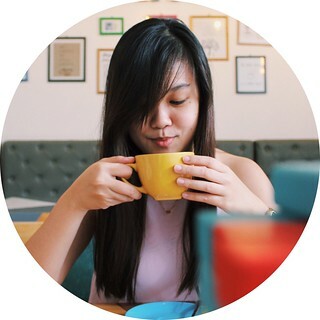 When we first came to Locavore, I was told that they serve a pretty good oyster sisig. I didn't like oysters, so I didn't order one, which turned out to be a big mistake because I loved it! It didn't taste like oysters at all. It's how I like sisig to taste - with a bit of a crisp, lots of onions, and a calamansi. Yum! 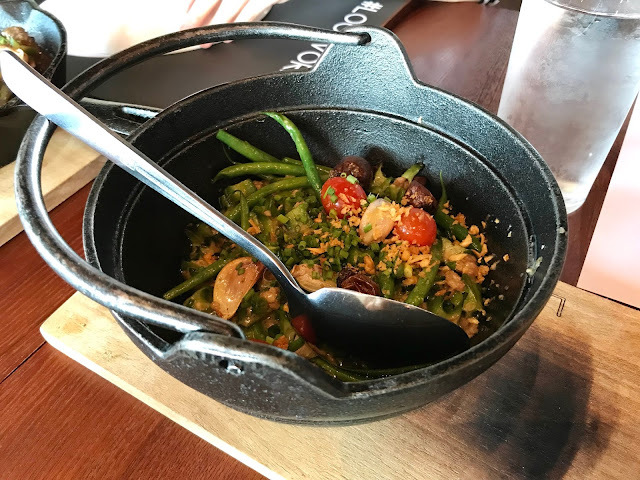 One of the most basic dish we have is the gising gising, which is a vegetable dish made of sigarilyas, french beans, shallot and garlic confit, and coconut milk. It's simple, but it's a good way to make vegetable-haters eat their veggies. 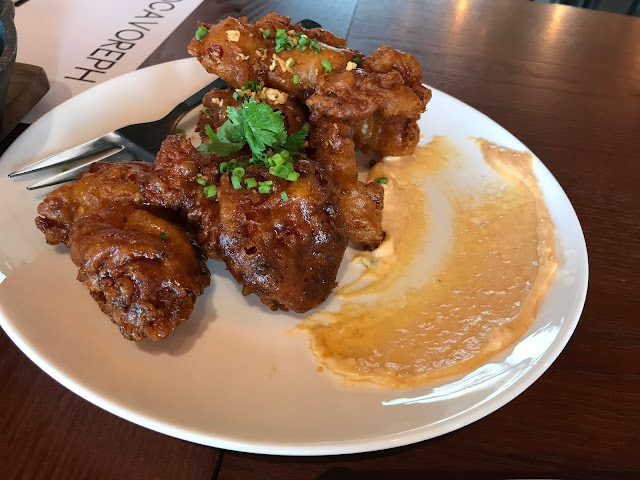 Boneless fried chicken fried in a sweet, house special glaze. It's not your typical Filipino-style fried chicken, but it was delicious. 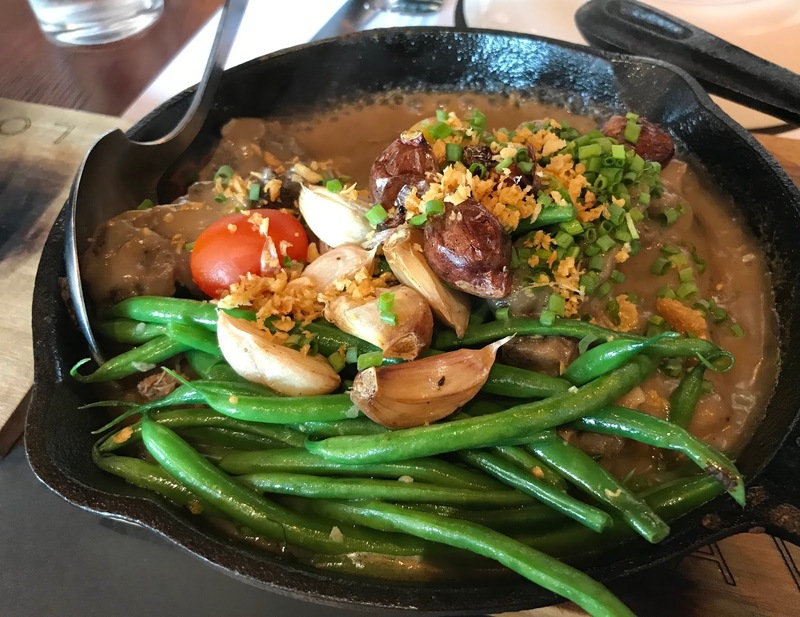 Beef short ribs and french beans in sampaloc gravy and garlic confit. The first idea I had about the sizzling sinigang was if it was the same as a sizzling kansi. It was similar, both had this tangy sauce that was nicely infused in the meat. It's a great twist to the sinigang we Filipinos love. 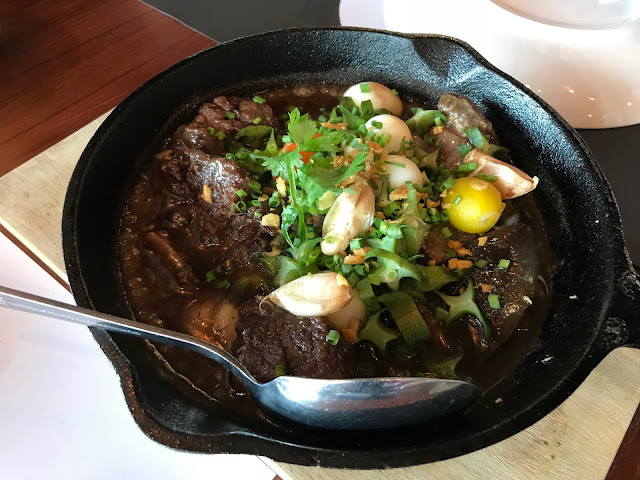 Beef short ribs in gata and vinegar sauce, topped with quail eggs and sigarilyas. Foreigners usually ask us Filipinos about our recipe for adobo, but Locavore tweaked theirs a little bit, and it works. My colleague hated a classic adobo dish, but she did like this version. Locavore is not your typical Filipino restaurant. 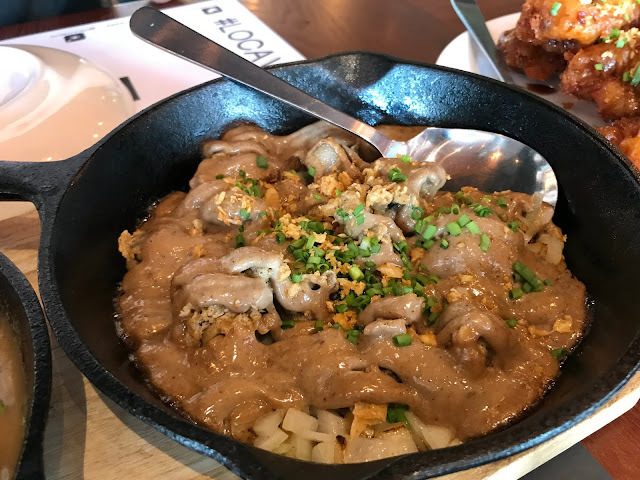 They add a certain flare and a modern twist to their food that changes the way you see the Filipino cuisine. Sure, everything we ate was a bit oily, but it's something that I find common in Filipino dishes. Besides, it was sinfully delicious, so it was worth all the calories.